Healthy is not a size, it's a lifestyle. There are a variety of visualization techniques that are said to be effective to “think yourself thin.” From visualizing yourself eating much healthier, to predicting that new lower number on your scale. Shedding a few pounds is possible just from using your mind. Experts say anything that you envision can turn into reality and an individual’s thoughts play a vital role in success and failure. Everyone knows that weight loss is not at all an easy task but there is some truth to thinking yourself thin. 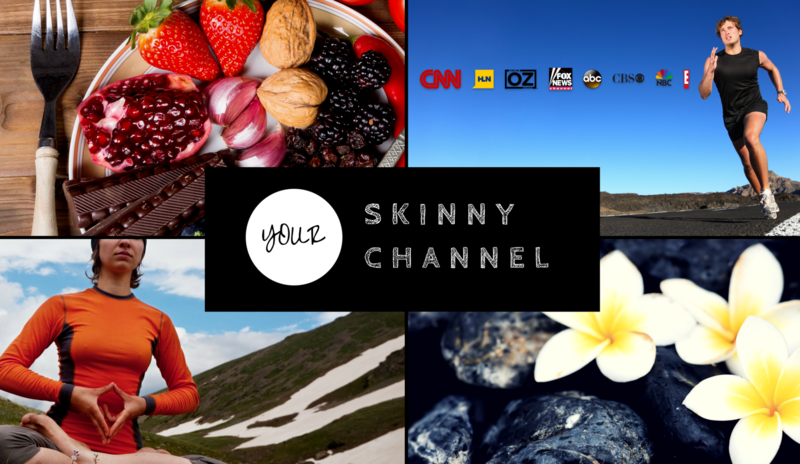 Let’s have a look at a few pointers that you should consider seriously in order to think yourself thin. Believe me, these techniques will work amazingly! Either you are talking to yourself or with someone. Make sure to pay close attention on how you think about yourself and others may think about you. ie, The self-talk. We often put ourselves down at some point of the day, criticizing ourselves for having that dessert, or even allowing ourselves to feel guilty over that soda. Stop it! Instead compliment yourself. Remind yourself about something you have achieved and focus on the things you have done that were good for your body. Did you drink water today instead of that diet soda? Perhaps you added spinach to your eggs this morning and remembered to take your vitamins. Focusing on what we have done that is good for us, encourages us to continue down that positive path and way of thinking. It will help in turning your self-talk & negative thoughts into a positive statement that begins the process of CHANGE. Create a list of your positive qualities instead of physical traits. Are you kind, artistic, honest, good in business, have a knack for making people laugh, etc? Post this list anywhere in your home where you can view at least 3 to 4 times a day. Building that self esteem will make it easier to want to treat yourself well and make healthy decisions. After all, you deserve it! We often compare ourselves with people who are in movies or magazines. You can compare yourself with real people around you, but there is no need for that. Real people come in all shapes and sizes. Remember just how much photoshop and body doubles play part in the entertainment industry before you compare yourself to what you see. Exercise or some activity can work wonders and make you feel awesome! It not only boosts your mood but is actually a quick step in the right direction of having a physically fit body at the same time. Moderate exercise can be the great way to eliminate all the distractions that may cultivate negative feelings inside you. By the time you have completed your workout, your negative feelings are likely to be less intense or even replaced by a stronger sense of accomplishment, confidence and giving you something to feel great about! If you are struggling to lose weight, follow these tips and start changing your health and fitness mindset now. After all, it’s all about your positive thinking and that has the power to change things drastically. Remember, think yourself thin and then watch your body follow. Research shows listening to music is the key to mental wellness. 1. Reduce stress. 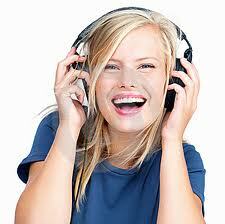 Studies have shown that listening to music biochemical stress reducers. 2. Creates a relaxation state. Listening to slow relaxing music, can alter brainwave activity creating a meditative or event hypnotic relaxed state. Some research suggest these states have a therapeutic effect, potentially easing symptoms of migraines, PMS, and even behavior issues. 3. Elevate mood and reduce symptoms of depression. A recent study found that music put people in an uplifted mood, even resulting in increase in arousal and mood stability. Study participants also reported “self-awareness” as a heightened factor in their emotional well-being. 5. Improve mental performance. One study found that playing background music while taking a test, allowed students to answer more questions in the permitted time while also answering more questions correctly. 6. Reduce anxiety. Similar to getting a massage, music has been proven to have a positive effect on anxiety levels. 12. Improved recovery and healing. A Finland research study concluded that when hospital patients listened to just a few hours of music a day, their cognitive function and focus improved, and they experienced more positive emotions compared to patients who didn’t listen to music or who listened to audio books. The result? Faster healing and recovery, with less stress! Whatever your music preferences may be, it’s clear that taking the time to listen even a few hours a day, can have a positive impact on your health and well being. Research shows, listening to music is good for your health and well-being. Watching while listening… even better! 1. Motivates people to move more. A study of found that healthy individuals, while riding stationary bicycles, worked harder while listening to fast-paced music. An extra bonus: They also enjoyed the music more than listening to it while not moving. 2. Ease of pain. Music has been proven to greatly reduce the perceived intensity of pain. Not only has music been shown to help with the common headache, but also with cancer and geriatric care patients, intensive care, and those in pain management therapy. 3. Improve workout motivation and performance. Runners have been found to beat their best time by simply listening to high intensity, “pumped up” music. Runners, break out your iPods! 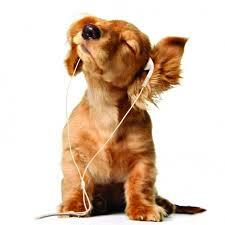 Listening to music has been shown to help you run faster, boost workout motivation, and enhance endurance. 4. Improve post-workout recovery. One research study had individuals listen to upbeat music immediately after a workout, and later, slow music to increase relaxation. Results showed an impressive increase in workout recovery speed! 6. Improve sleep time and quality. Listening to relaxed, slow paced music, such as classical, has been shown to effectively treat insomnia, making it a safe, cheap alternative to sleep-inducing meds. 7. Eat less, naturally. Research has found that playing soft music during a meal naturally results in slowed eating during a meal, consuming less food in one sitting.